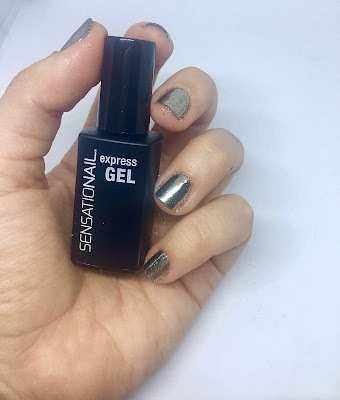 I'm definitely behind on this craze, which is partly due to me carrying out DIY Gel Nails as I refuse to pay for them at a salon (pretty much like my lack of willingness to pay for a haircut! ), but I recently decided to buy the Chrome Powder Nails Gel Nail Polish from Sensationail. 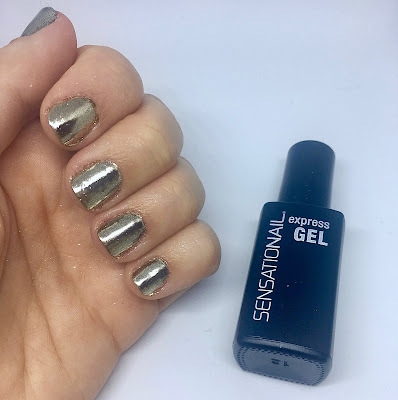 I've spoken about Sensationail before, and my love for them just grows. They do not sponsor my content, nor are they aware that this post is being written. 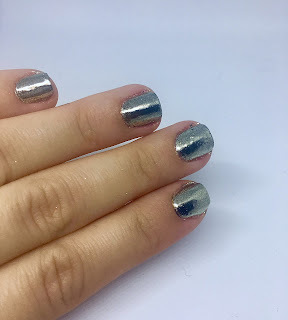 However, when I saw that they had released the Chrome Powder Gel Nail Polish, I couldn't have been more excited if I tried - I picked it from the shelf so quickly I gave roadrunner a run for the dust he leaves behind. Obviously, the minute I got this home I wanted it on my nails straight away. If there's something I lack it's patience. 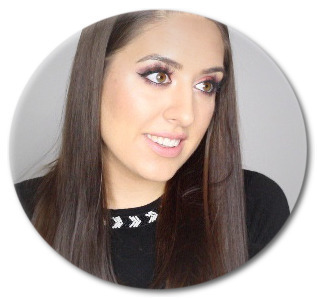 Of course, I didn't want to try this without sharing what it was like with my fellow beauty junkies. 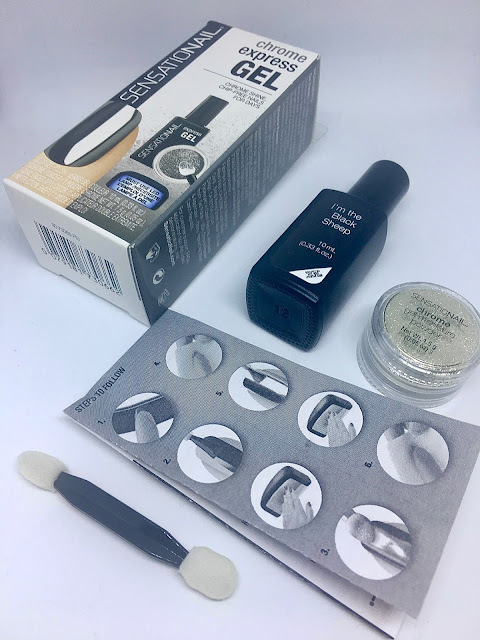 Whilst I found it fascinating that the powder could transform into a chrome shiny finish on my nails, I have to admit that I had the powder floating around in my room for a long time afterward - I'm not sure how good it was to be inhaling that. Also, once I had finished it didn't look perfectly finished, and I had tried using varying amounts of my nails in case I had used too much/too little. From a distance the polish looked amazing, I had comments on it and people couldn't understand that it had come from a powder when I explained. However, I knew deep down that if they were to have a closer look at my nails they would be able to see that it was far from perfect. Later in the week, it started to peel from my nails leaving the black undercoat showing. I had no easy option of removing all of the chrome powder, or reapplying it without almost having to start from scratch with everything, so I had to put up with less than perfect nails until it was time to remove the standard gel polish from underneath. My final thoughts are that I would use this again, but only because I have already made the purchase. As an avid lover of Sensationail, I'm slightly disappointed that I didn't fall in love with this product. Perhaps you might be able to suggest a better way to use it, or you have heard of a technique that you think I should try and let you know how I get on. Either way, I'd love your thoughts in the comments!